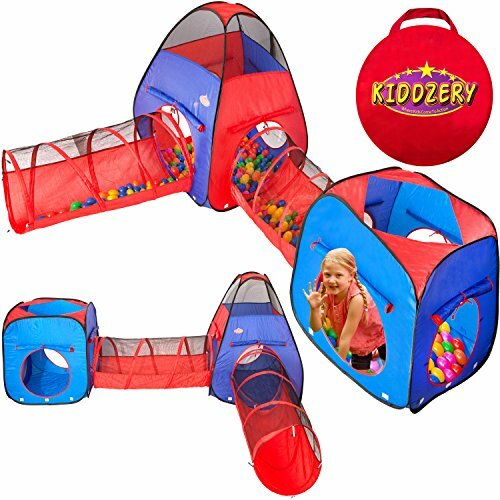 When the kids are restless simply set up this adventure Play tent set! 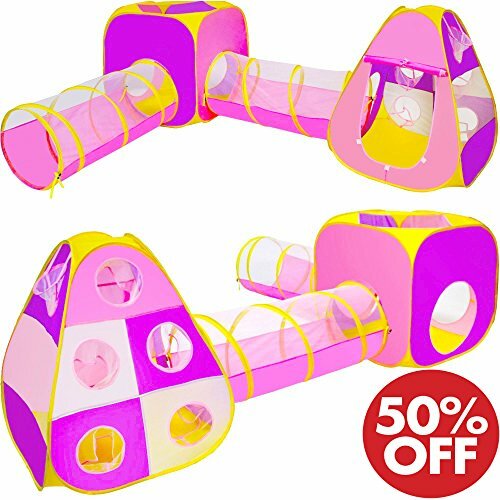 For use indoors or outdoors, this tent and tunnel set is great for family time and friend time. Let the kids have snacks and stories inside, play games. So many different uses for hours of creative play. 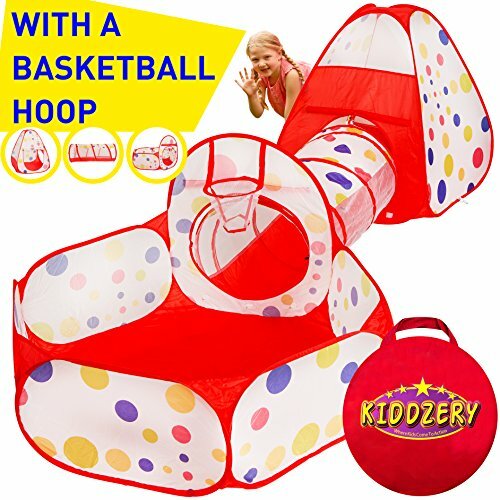 It's 3 in 1 fun with a colorful tent, tunnel and teepee that connect for great interactive play. 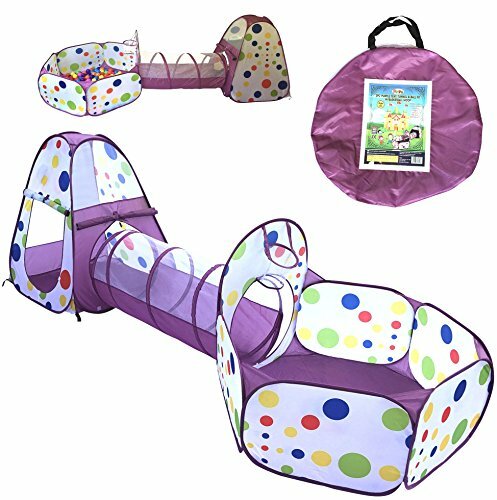 Your little one can have hours of indoor/outdoor fun with the Play Tent. 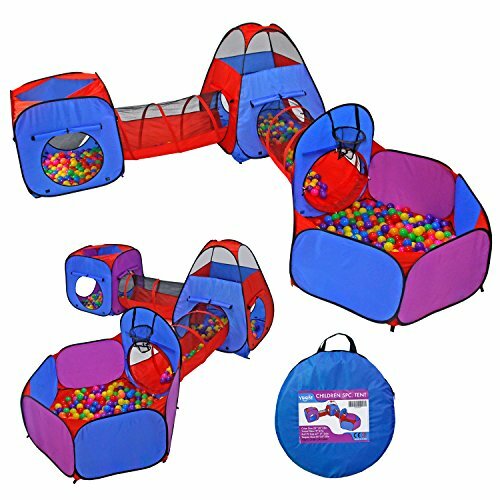 FEATURES: •Kids Adventure & Discovery Play Tent w Crawl Tunnel and a ball pit. 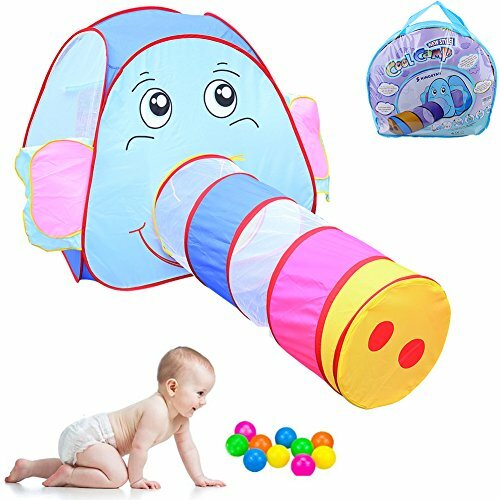 •Quick and easy instant play - pops up in a flash. •Folds away neatly for simple storage. •Mesh panels for ventilation and peek-a-boo opportunity. •Ideal for indoor and outdoor use, for picnics and outdoor play. •Great for kids' parties and get-togethers. 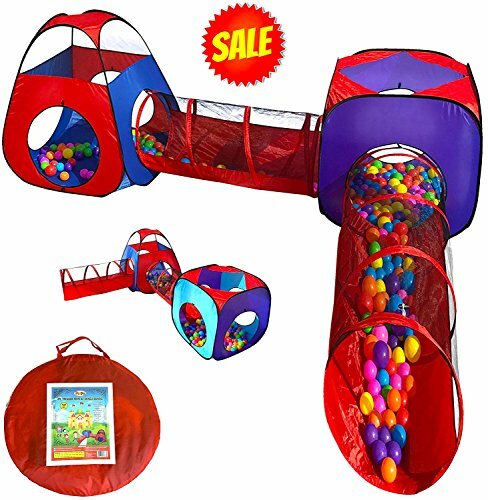 •Encourages physical play and stimulates the imaginations at any time. •Best house keeper and mother's good assistant. •Easily wipes clean with a damp cloth and mild soap. •Safety meets ASTM-F963 safety standards & CPAI-84 . •Ideal for age 1+. 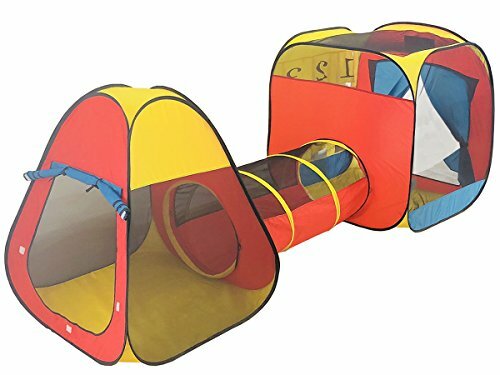 This Adventure Set Play Tent is an adorable gift for all kids. 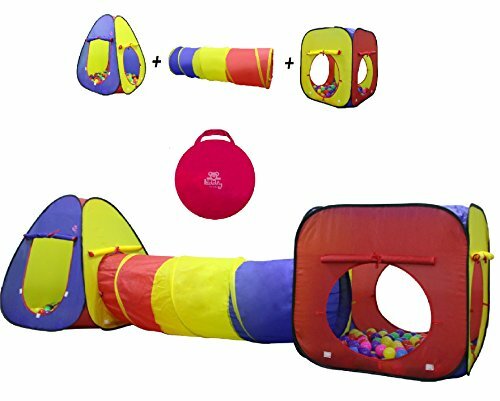 The spring-pop tunnel tube joins the ball pit and Teepee together to create a single play area. It can Stimulates the children's Imagination, Encourage their Color Perception and Shape Recognition and even Cultivate them to be Independent and Coordinate.